Stage it & Sell it! Design it & Live it! New Vision Staging & Design is impacting homeowner’s lives throughout the Washington, DC metro area. We work with developers, real estate professionals and individual clients to transform properties into homes. Whether the transformation focuses on staging the property to sell it or designing it to live in it, we are passionate about working with you to create a home-your home or your buyer’s new home. We are collaborative and share your goals. Our services are turnkey. We are your partners from inception to completion. We create the home of your dreams. Our defining goal is to create a relationship with our clients; one where there is an ever-present level of comfort and knowledge that the project will be completed to the specifications and ultimate goals. Our relationships are the mortar from which we are building our partnership. We are integrally connected and share core values. What we share with our clients is what differentiates us from other staging and design companies. Our job is to help you, the seller and our client, create an environment to encourage the potential buyer to emotionally connect with your home’s maximum potential. We have been assisting sellers in the marketing of their homes for many years. We know what your buyers want and how to add that extra ambiance to your home to make it irresistible. Our upscale custom approach consistently sets us above our competition. Exceeding expectations is always a priority at New Vision Staging & Design. Our hard work ethic and high-performance standards ensure that the client’s goals are achieved. 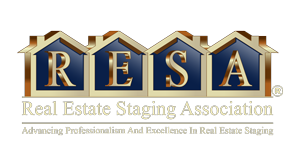 We will work with you to determine which staging package is best in order to sell the property as rapidly as possible. We provide a complimentary design consultation where we get to know one another and review your project goals. We will manage your design project from start to finish. You do good work!!! Both are under contract and we can schedule furniture removal. Woohoo!! Connie, I’ve been meaning to write to you to thank you for being so instrumental in my success this year. Great job with the staging. It really helped – we were able to get multiple offers and people loved the place. You guys have done it again – we went under contract last week after just 4 days of being on market. Thank you again! You guys really make my job easy. include the staging, my clients were under contract in two and half weeks.